1 Story, 4 Bedroom, 3 Bath, Study with French Doors, Dual Vanities in Master, Separate Garden Tub and Shower, Fireplace, Like Wood Tile Floors in All Common Areas and Master Bath, Granite Countertops, Upgraded Stainless Steel Appliances, Kitchen Island, Mosaic Tile Backsplash, 8' Interior Doors, 2" Window Blinds, Upgraded Lighting Package, Covered Patio, Sprinkler System, Garage Door Opener, Environments for Living Home, Cul de Sac Lot, plus more...AVAILABLE NOW. Directions:From HWY 99 exit West Belfort/Mason Road. Turn South on Mason Road and continue to FM 359 and turn right. Turn right on McCrary Road and then right on McCrary Meadow Dr. Make right on Karlissa Trail. Model is to your right at 3707 Savage Ct.
SchoolsClick map icons below to view information for schools near 3530 Willow Fin Way Richmond, TX 77406. Home for sale at 3530 Willow Fin Way Richmond, TX 77406. Description: The home at 3530 Willow Fin Way Richmond, TX 77406 with the MLS Number 59534778 is currently listed at $289,990 and has been on the Richmond market for 73 days. 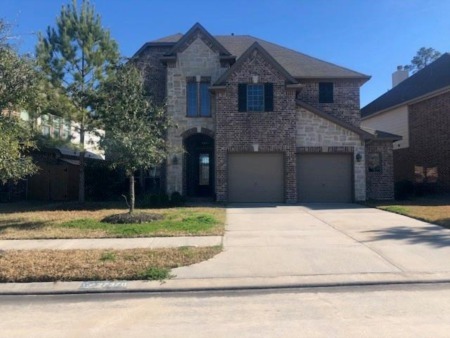 You are viewing the MLS property details of the home for sale at 3530 Willow Fin Way Richmond, TX 77406, which is located in the Mccrary Meadows subdivision, includes 4 bedrooms and 3 bathrooms, and has approximately 2473 sq.ft. of living area.